When it comes to food, it’s natural to ask questions about what is unfamiliar. And when people see ingredients on food labels that they don’t recognize, it’s easy to think that the food contains chemicals. Everything around us – including food – is made up of chemicals. The idea that there is a difference between “natural” chemicals – like those already existing in food – and those produced by scientists in a laboratory is a common mistaken belief. And lately food marketers are advancing consumers’ concerns that “man-made” chemicals are bad. 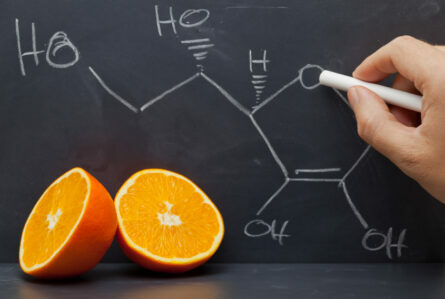 Glutamic acid, also known as glutamate, one of the most common building blocks of protein, is a well known chemical among food and nutrition professionals, but not by consumers. Most foods naturally contain some amount of glutamate. Protein foods, such as meat, fish, cheese, milk and some vegetables (especially mushrooms and tomatoes) are especially good sources of glutamate. Glutamate has been called “nature’s flavor enhancer” because it transmits the taste umami in foods. When you grate cheese onto your salad or spaghetti, you’ve added a large amount of glutamate to stimulate your tongue’s umami receptors, thus sending a message to the brain which signals “great taste.” Parmesan cheese is the substance with more free glutamate in it than any other natural foodstuff – though it doesn’t say the chemical name glutamic acid on its label. Monosodium Glutamate, or MSG, is an ingredient on some food labels. MSG is a salt of the amino acid glutamate (or one (mono) sodium atom “stuck” to glutamate). MSG is an ingredient – or chemical – used by cooks (at home), by chefs, and by the food industry to make some foods taste better. 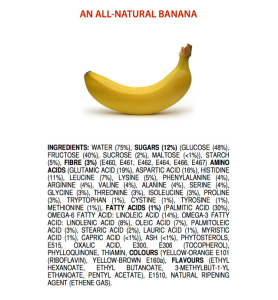 There are thousands of ingredients – or chemicals – used to make foods. The Food and Drug Administration (FDA) requires that all ingredients in a food, including additives, be listed. Over time, scientists have found many ways to make food last longer and taste better, which typically involve additives. MSG is one of those additives. All food ingredients are carefully regulated by federal authorities and various international organizations to ensure that foods are safe to eat. FDA maintains a list of over 3,000 ingredients in its database, “Everything Added to Food in the United States.” For more information about food ingredients and food additives, see here. Althea Zanecoscky is a registered dietitian and an advisor to The Glutamate Association. Her full bio can be found on our About Page. Previous PostHow Does One Develop a Food Allergy? Next PostWhy is Soup So Good When You’re Sick?